Everyone is a bit nervous about back to school. Does it scare you a just a bit too? New changes, new people to meet, new students and not being sure how all that will work out can make your first couple of weeks back full of butterflies. I know I am feeling a bit stressed out already. Many of our children feel it too, especially the younger ones. They may be feeling a mixture of excitement and fear as they adjust to a new teacher, classroom, even a new school. Then you come along… and it’s time for speech therapy. 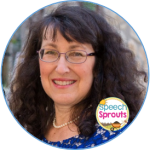 Your first speech session should be welcoming and reassuring. It’s a perfect time to talk about feelings in speech therapy and build a foundation of trust that will serve you well all year. I love to kick off the year reading The Kissing Hand by Audrey Penn. It’s a wonderful, sweet story about a little raccoon that your students will surely relate to because Chester is nervous about going to school too. 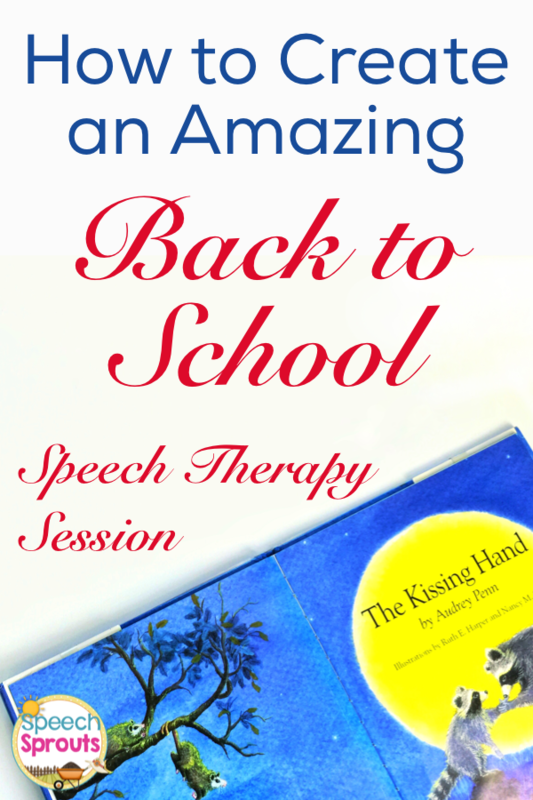 Best-Ever Books for Back to School Speech Therapy: The Kissing Hand and a FREE Treat too! Wishing you a wonderful back to school!